We follow a mix of footpath and road. Mainly road for nearly 5k to a place called Buelna, there is an alburgue here serving breakfasts. As we had nothing yet it was most welcome. We did not really need a rest yet, but we did need some food and especially coffee. There was a steady stream of pilgrims here many we had encountered before. We heard someone talking of the coast route “turn behind the yellow bin” they had said. It was here we met with Henry. He was fed up with too much road and was asking about the coastal route. I was getting more use out of the GPS now and so we joined up for the day. Henry was an American with Spanish parents. He spoke fluent Spanish, which is an advantage here. He was set to do the Primitivo as it was something his father and Grandfather had done. We hade a pleasant walk along coastal paths and through fields, but because we were now off the official route and following the GR E-8 route the waymarking was not so good. I was relying on the GPS more and more. Maybe it will help later that I am getting more used to it, but for now, at least, it is helping. We arrived at another village and we were all hungry and thirsty so we stopped at a bar. Nice to know that even a fluent speaker never really knows what he will get here. Henry asked for a bocadillo, when it came he said ” I can’t eat all this”. We learned another lesson here from him, he asked for it to be wrapped for later. File that one for again. Some people following us refused to believe they were on the wrong road, but we turned around and 300metres back found an overgrown footpath down toward the road. 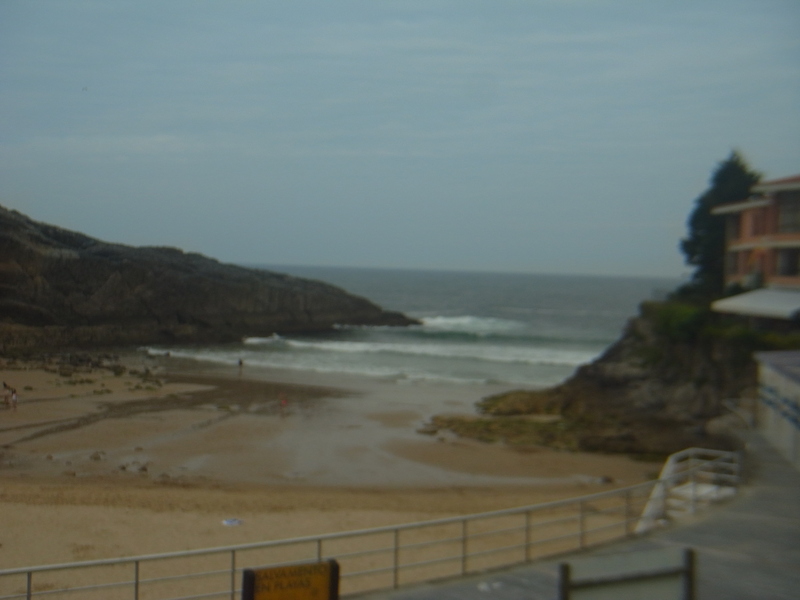 We said goodbye to Henry as we entered Llanes (we thought) and stopped for a drink and pincho. We saw the people who had passed us on the footpath just before we left, so at least, they did not go too far astray. It was still some walk into town we found. As often happens when walking, you think you have arrived and there is still a way to go. We passed the tourist office and, well you guessed it. So that was no use. We followed the camino route and it led us to a square. There on the square was a pension. We knocked on the door. The lady of the house just stuck her head out and gave me a key and the room number. Well the room was fine, but we did not know how much and we had no stamp. I came down later and was invited in by the owner, he took our passports, stamped our credecial and disappeared. It must have taken me twenty minutes to get him to take my money, but it was only 35e. The square had a fast food place, where you could get all sorts of pasta, hamburgers, salads, you name it. This was a good place to rest up for a day. The following day we explored the place and actually found the tourist office open. When we crossed the camino route we bumped into the two German women. A minute earlier or later and we never would have seen them, they were glad to see us and said they wondered what had become of us. While exploring the quayside Viv put her sunglasses down, turned away and they were never seen again. You get used to the company of pilgrims and forget that in a place like this there are many tourists. 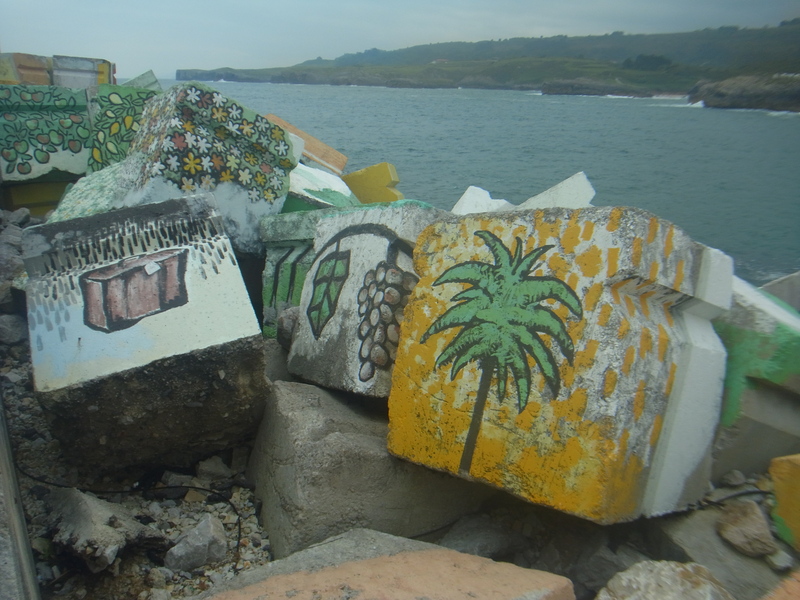 We also viewed the Cubos de la Memoria, to me they just looked like someone had sprayed graffiti on the sea defenses. A walk to the beach revealed an ice cream van, closed, of course, but sort of a reminder of home. 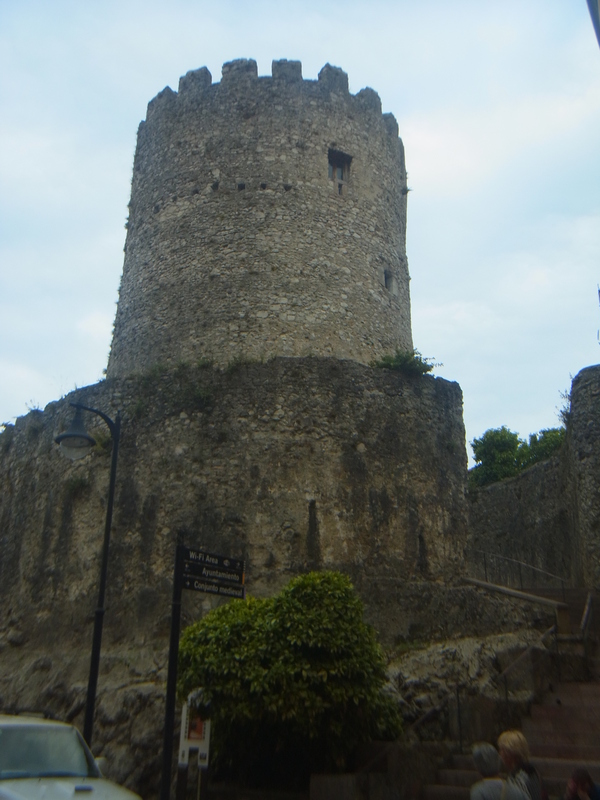 The old walls and churches were nice to view the place generally looked a good place for a holiday. They had a number of sport shops as well, which was handy as we had lost one of our water bottles. Viv managed to get a pink one, so she was happy. We finished our time here with a meal at the fast food place and drinks on the square. Will be sad to leave here. Milongas & tango classes in Manchester and beyond! The life of a frustrated Milonguero · The life of a dancer, who would rather be in Buenos Aires.